Port Moresby one day, islands and volcanoes the next… Welcome to Papua New Guinea. We recently traveled to Papua New Guinea to attend Lukim PNG Nau, an annual tourism fair hosted by the Tourism Promotion Authority of PNG and the Tour Operators Association. During the event travel agents from all over the world had the opportunity to learn about the various products on offer and to meet local tour operators. 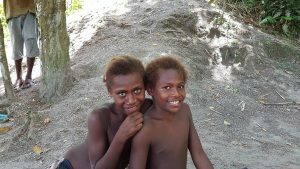 For some it was their first opportunity to experience PNG. While in Port Moresby all tourism expo participants stayed at The Stanley Hotel, one of the capital’s latest properties. Impressive would be an understatement. Lukim PNG Nau was held in Port Moresby and attended by participants from Australia, Japan, the UK and USA as well as Europe and China, the newest market for the Tourism Promotion Authority. After a couple of days in Port Moresby we set off on a Rabaul adventure tour that would include diving, snorkeling, island visits, cultural performances and visiting WWII sights. Flying Air Niugini we took the route via Buka, the interim capital of the island of Bougainville. The views from the plane when landing were stunning and enticed to come back for a longer visit. After landing at Tokua Airport in Rabaul-Kokopo we transferred to our boat to head out to one of the islands off the coast. After a snorkel in the pristine waters we took a tour of Simpson Harbour and came face to face with Mt. Tavurvur. Mt. Tavurvur is an active volcano that erupted only a couple of years ago (Aug. 2014) and standing next to it you can feel it is a sleeping power. It was great to be back in Rabaul! 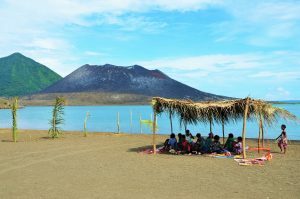 Over the next two days our Rabaul adventure tour consisted of many highlights. It is difficult to pinpoint the best part of the trip as there were so many. It is hard to bypass swimming with dolphins, probably one of the most amazing experiences we’ve ever had. Then there was the diving, which was also great. 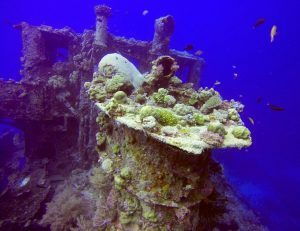 The Rabaul region offers many superb dive locations. Pristine waters, reef walls, wrecks, abundant marine life – Rabaul has it all. We were lucky enough to dive a ship wreck. Sitting at around 20-25m the ship rests on, literally, the reef’s edge overlooking a big drop. How it stays up is baffling? At the end of each day we came back to our accommodation and enjoyed freshly caught seafood with cold beer – life is beautiful. We finished off our Rabaul visit with a historical tour of old Rabaul Town (Rabaul was destroyed during the major eruption in 1994), the hot springs, a few significant WWII sites including Gen. Yamamoto’s bunker and the volcano observatory. The bonus came when it turned out we would witness a Baining Fire Dance, the traditional performance of the Baining People. 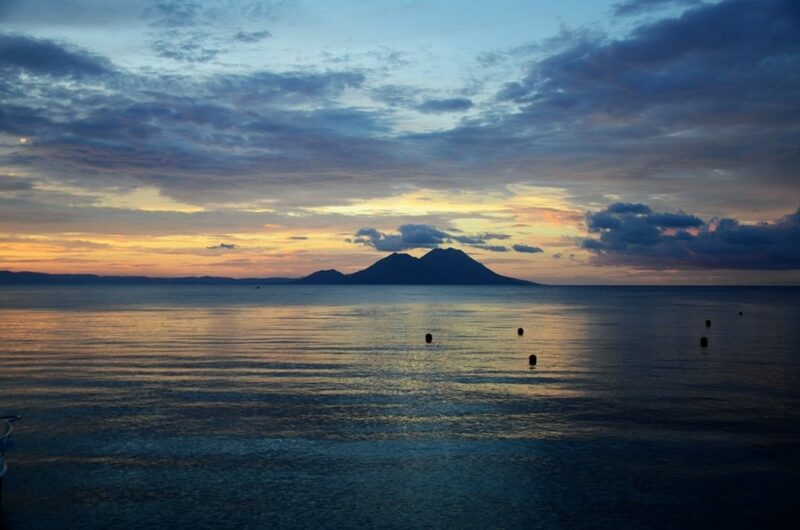 Rabaul is a wonderful destination and offers something for even the most picky of travelers. There are nice hotels, but also budget accommodation options, plenty of activities, friendly people, tropical setting and it never gets cold. With frequent flight connections Rabaul is the place for you if you are looking for a short or longer getaway. Trust us and enjoy Rabaul! Find out more about our Rabaul Tour and contact us to book your next PNG Adventure.